You may be asking yourself why UNUM has denied your disability claim, or why they are asking for what seems like an unreasonable amount of information from your treating physician, or why they continue to seek more and more documentation from you the insured. If so, you need to understand that this is just how disability insurance companies do business. Claims are denied or people are asked to provide unreasonable amounts of documentation. Disability Insurance Companies count on people who are unable to fight back. Our firm fights back for people just like you who have their disability claims denied or questioned. Disability Claim Denied by UNUM? Every now and then we see an increase in the number of people contacting Frankel & Newfield who have had their disability insurance claim denied by a particular insurance company. We’ve seen this occur with CIGNA and Hartford Insurance, but this time it seems like UNUM has been sending out more than the usual number of denial letters. This is not an unusual occurrence—but if you are the recipient of such a denial, it is extremely stressful. Disability insurance lawyers Frankel & Newfield have represented many Unum, First UNUM, Provident Life and Paul Revere (UNUM Group) claimants in appeals and in Unum (UNUM Group) disability lawsuits when their UNUM disability claims have been delayed, denied or terminated. If you are having a problem with your UNUM disability claim, call Frankel & Newfield at 877-LTD-CLAIM (877-583-2524) to find out how we can help. When they need to file a lawsuit against UNUM. Aggressively argue against the use of clauses in the disability insurance policy that are being misued to create a basis for denial or termination of a claim. Our office also represents people when they have attempted to file an appeal on their own and failed. It’s not the optimal time in the process, but we have succeeded in overcoming denials at this stage of the claims process also. Call our office today at 877-LTD-CLAIM (877-583-2524) to learn how we can help. If you receive a disability denial from UNUM, your first thought may be to appeal on your own, out of anger and simply say “I appeal your decision”. This is the worst thing you can do. There are strict time limits concerning disability claim denials, especially when the policy is through your benefits package at work. These types of disability policies are known as ERISA policies – they are administered under a federal law that regulates how employee benefits are managed. If you fail to respond in a timely manner, you could lose the ability to appeal the denial forever. But more than a “response” is required. Call our office at 877-LTD-CLAIM (877-583-2524) if you’ve received a denial letter and aren’t sure what your next steps should be. The phone call is likely to be recorded and if you are angry or upset, you may say things you may regret later. Second, there is little anyone will do at the call center in response to your phone call. Once a request to appeal the claim has been made, the administrative appeals process begins. You can provide all the information you want on the phone to a claims person, but the appeals process is a very specific one, and documents, including medical reports, need to be provided in such a way as to support your claim. We have represented clients at all stages of disability insurance claims with Unum for many years, and are familiar with the disability claim handling tactics of this company. UNUM handles both private disability (IDI) and Group LTD (ERISA) claims, and owns many insurance companies, so you may have a Unum policy or a disability policy administered by UNUM and not even know it. In one of our many cases on behalf of Unum disability claimants, the firm represented a doctor who had been on residual disability for more than ten years as the result of an illness that limited his ability to perform the tasks of an OB/GYN. As a result of our effective representation, the doctor now receives his full benefits - more than $20,000 per month - for the rest of his life. 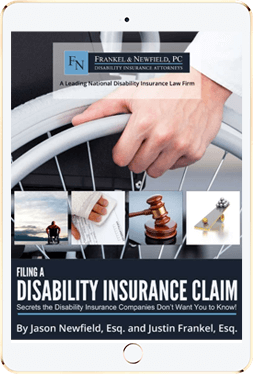 What Disability Insurance Companies Does Unum Own? How Does Unum Delay, Deny or Terminate Short and Long Term Claims? Aggressive efforts to determine claims to be due to sickness, rather than injury, to impact the maximum benefit period to pay a claim. Why is it Difficult to Fight Back When an Unum Disability Claim is Denied? Unum is a huge public corporation selling insurance in the United States and the United Kingdom. According to its website, the company reported revenues of $11.3 billion in 2017, and provided $7 billion in benefits. Taking on a legal battle against such a large corporation with access to limitless resources is not an easy task. Generally, there are no punitive damages in a fight for disability insurance coverage (never under ERISA claims), so the only thing a giant insurance company has to lose by denying a claim is the cost of its in-house or outside law firms and the benefits that it would have paid anyway, while keeping the investment gains from holding the money. A claimant, on the other hand, stands to lose everything when their disability insurance benefits are cut off. Lacking resources or the ability to secure effective representation is something UNUM counts on in its aggressive claim handling. UNUM, as the result of First Unum and Unum Provident combining, was the subject of national headlines when a class action lawsuit shed a glaring spotlight on the company's systematic process of deliberately denying disability claims. Internal memos were revealed that proved that UNUM deliberately denied disability claims and instructed claims adjusters that the more claims they denied, the more likely they would keep their jobs and earn incentive bonuses. Investigative news reports on 60 Minutes and Dateline featured interviews with former employees who spoke out on national television about a quota system and bonuses for claims denials. Unfortunately, once the company was out of the national spotlight and the governmental inquiries finalized, things went back to how they had been before the class action lawsuit. Thus, we see many of the same tactics still employed today in claims being delayed, denied and terminated. Litigating claims following Exhaustion of Administrative Remedies. Lump Sum Settlement of currently paid claims. Unum conducted a ten year review of disability claims reported in May 2018 that points to a dramatic increase in dramatically in short and long term disability claims for joint disorders and musculoskeletal (orthopedic) issues, likely related to an aging population. Cancer remains the number one reason for disability claims, with 17% of claims citing a cancer diagnosis. But what UNUM speaks about in its press release is what we are MOST concerned about: the percentage of short term disability behavioral health claims that transition to long term claims being down 15%, “the result of a dedicated behavioral health program implemented at Unum.” We see that from the claimants’ side: it means that Unum has become more effective at shutting down mental/nervous claims. This is not good news for claimants with such claims. If you have a disability claim with Unum that has not been paid or if the UNUM claims adjuster is trying to get you to settle your case for far less than its value, call our office at 877-LTD-CLAIM (877-583-2524) and learn how Frankel & Newfield can help.